The shivering is constant. The permafrost tearing deep into my soul. The pressure of the deep makes it impossible to catch my breath. My ears are completely blocked from the tide’s density and barely audible turbulence. The frigid ocean surrounds me on all sides now as I continue to sink into the black expanse. “Breathe. Breathe,” reverberates from the remoteness as my efforts falter and a burden intensifies. The darkness, the coldness, the pressure. My body acknowledges each as my cells are vised and deserted I descend into its depths. My descent continues into perpetuity with all of my emotional nakedness strewn into the eternal darkness. “No. No. My heart is breaking but it is not broke!” I scream into the nothingness. “I am not alone! I am not!” I cry into the disquietude. “Breathe. Breathe.” I feel in my core from this struggle in the abyss. “I am not alone! I don’t have to be. I don’t need to be! I don’t want to be!” I fight as the reality of submersion comes to light and a lightness appears above. Juxtaposed to the light above remains the mass of shadow being swallowed into an oblivion. And yet … and yet, I watch as it departs from me. Slowly. Ever so slowly. But definitely separate from me now. And descending deeper and deeper into the gloom. The sun is high in the sky casting a gleam over the cove. The leaves on the trees just beyond the marsh are exquisite with fiery reds, deep oranges, and bright yellows. The marshlands themselves almost pink as they glow in the sunlight. The beam of light burns at my skin and scorpions my eyes as I squint to see the blue green water flowing before me. In my rolled up blue jeans and unbuttoned white dress shirt I squat in the sand and continue to peer down at the black mass which has left my humanity and is now following its own solo journey into the Sheol of the cove depths. But now, at this moment my darkness is no longer within me but sinking beyond as suddenly the surface of the water is disrupted and a Loon breaks through and flies into the light of the clear blue sky. I squint my eyes even tighter as the light of the sun continues to shine. “It is a dove. It is not a loon. 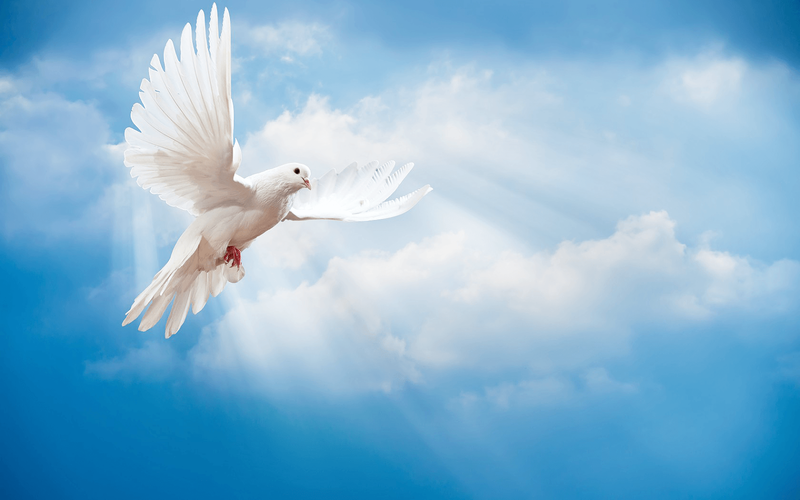 It is a dove.” I scream at the top of my lungs as joy overtakes me.